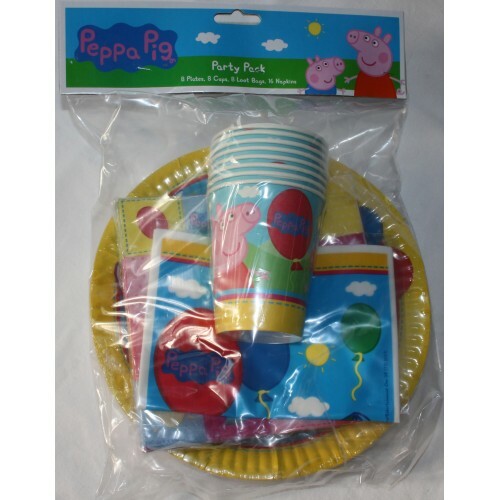 Peppa Pig 40pc party pack consisting of 8 plates, 8 cups, 8 loot/lolly bags and 16 napkins. Mini Water Pistol approx 5.5cm long. Available in 6 colours - red, purple, pink, yellow, green and b..
1 x sheet of jungle animals temporary tattoos - sheet is perforated into 8 squares. Total of 16 tato..
Peppa Pig plastic tablecover is the perfect decoration piece to finish the table for your themed par..